China’s 2004 Olympic Champ won his fourth ISSF World Cup Final by setting a new, great, Air Rifle final world record. Following him, world champion Campriani pocketed the Silver, and Hungary’s Sidi Peter finished on the podium at the last shot by scoring today’s highest final. The 2004 Olympic Champion and 2008 Olympic Silver medallist Zhu Qinan of China gave his best at today’s 10m Air Rifle Men event, at the 2011 ISSF World Cup Final, held in Wroclaw (POL) from the 18th through the 24th of September. The Chinese champion won the medal match, setting a new Final World Record of 703.8 points that shattered the previous record of 703.5 points set by India’s Gagan Narang at the 2008 World Cup Final in Bangkok. Zhu made it into today’s medal match with an outstanding equalled world record of 600 points after a perfect qualification match. 26-year old Zhu, ranked third in the world before today’s match – but probably the best Air Rifle shooter of the world at the moment - had won the 2009, the 2007 and the 2004 World Cup Finals, and finished on the podium in 2006 and 2008. Winner of 11 World Cup gold medals, he participated in 22 ISSF World Cup Stages, winning 18 medals, since his career started in 2003. Following him in second place, the Silver medal went to Italy’s World Champion Niccolò “Nicco” Campriani, who finished on the podium with 701.4 (598+103.4) points. Campriani had pocketed a Silver medal also at yesterday’s 50m Rifle 3 Position Men competition. Hungary’s Peter Sidi secured the Bronze medal at the last shot. 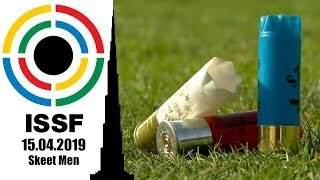 Shooting today’s highest score in the final, 104.0 points, the 33-year old Hungarian shooter climbed from the sixth to the third place, ending up on the podium with a total of 701.0 points. With a last great shot of 10.7 points, he overtook a disappointed Jozef Gonci, who lost the medal by firing an 8.6 on his last shot. 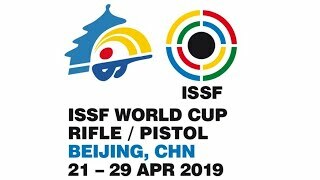 While Slovakia’s Gonci closed the match in sixth, with 700.4 points, it was Israel Sergey Rikhter the most disappointed shooter of today’s final. 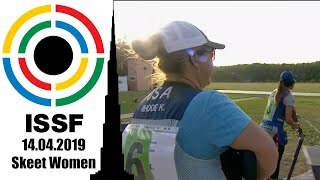 The 22-year old Israeli shooter finished indeed in seventh place, with 699.4 points, after being penalized with a two-point deduction for not reporting in time for the final. With those two missing points, he would have finished in second, tied to Campriani.